I think we all love elephants and that is probably why they are often the subject of humorous cards, cartoons, whimsical stories and in my recent travels to France- sculpture. 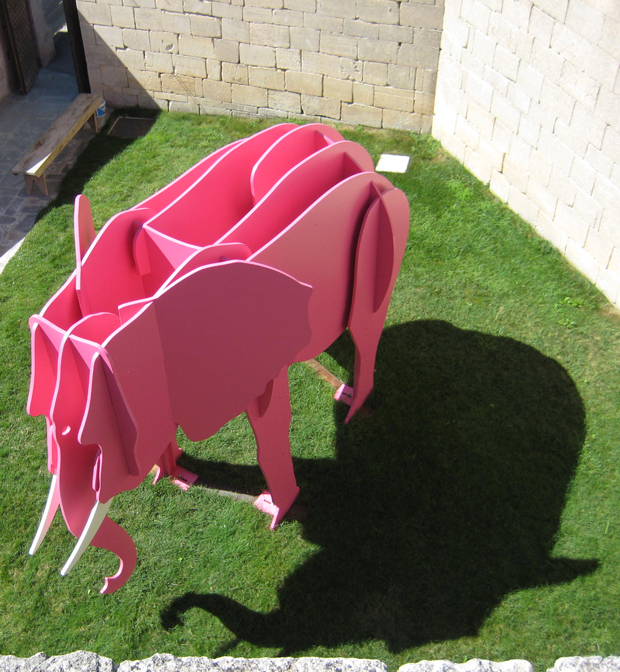 This pink elephant caught my eye as a stand out among his other very cute friends "roaming" the grounds of the Château Lacoste. I couldn't help noticing a slight resemblance to a plywood toy elephant designed by Charles and Ray Eames in 1945, but never brought to the mass marketplace. Recently the Eames ® Elephant resurfaced in a plastic version suitable for outdoor or indoor use as a child's toy, stool or just a fun decorative accessory. The Eames ® Elephants are available through the Eames ® Gallery.